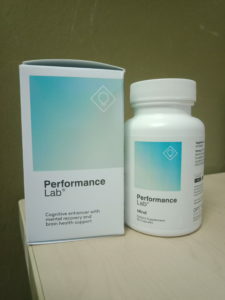 To be frank, I was doubtful of writing this review after taking the Performance Lab Mind supplement. It’s not that it doesn’t deliver, but it somehow works in other ways that I expected. If you’re planning to get one too for better focus, you’ll want to check out my experience and decide if it is the right focus-enhancer for you. Performance Lab is a series of supplements launched by Opti-Nutra and is targeted on individuals seeking to elevate their performance. Opti-Nutra is a nutritional supplements company that is based in the UK but with manufacturing plants in the US. It is the same company behind Mind Lab Pro, which is known for its high-quality nootropics. There Performance Labs series of supplements are formulated to target different aspects of your life. The Performance Lab Mind is designed by the team of researchers of Performance Lab as a cognitive enhancer. It is meant to improve focus and learning, especially when you’re in a stressful situation. It’s important to know what you’re putting into your body, especially when taking supplements. The first thing that I checked on the supplement before even considering taking it, is the ingredients involved. The supplement is also non-GMO and contains no traces of soy, dairy, egg, peanut, tree nuts, wheat, and other allergens. Let’s get back to the active ingredients of Mind. I was curious about the functionalities of each ingredient and their effects in promoting cognitive function (if any). After spending some time researching, here are what I’ve found. Citicoline – This is a naturally occurring brain chemical, which can also be taken as a medicine. It is known to help people with Alzheimer’s with memory-related problems. Citicoline also improves brain circulation in the brain. Phosphatidylserine – Elderly individuals will benefit from Phosphatidylserine, a chemical that is crucial in preventing mental decline. While the body produces Phosphatidylserine, the amount is too low and often compensated by external sources. N-Acetyl-L-Tyrosine – Also known as Tyrosine, this ingredient is an amino acid that is both produced by the body and found on other foods. It plays a role in maintaining cognitive performance during stressful situations. Maritime Pine Bark Extract – Native to the Mediterranean, the Maritime Pine has medicinal qualities and is linked to improved mental function. Knowing that none of these are unnatural, I started taking the supplement. I am writing this review after taking the supplement for at least 2 weeks, which I believe is fair for any supplements to work. It’s also at a period where focusing is the hardest thing to do. You could relate if you have been juggling parenting, house chores, work, and minimal sleep. As I unboxed the Mind supplement, I’m more than eager to try it out. The instruction suggests that I take 1-2 capsules daily for positive results. Having experienced sudden effects of supplements by taking the maximum serving in the past, I started with a single capsule daily for 1 week. I tend to be frank when writing in-depth reviews and I’ll say that I notice no significant improvement after 1 week of taking one capsule daily. The same clouded mind prevents me from giving my best, both for my work and child. At this point, I was thinking if this supplement by Performance Lab is overrated after all. On day 8, I decided to give it a second chance, by taking two capsules instead of one, and I continued for the entire week 2. I wasn’t hoping much and kept an open mind. It was on the second day after I increased the serving that I noticed a sudden change in my awareness. I realized the level of mental fatigue that I was in, and I consciously realize the need to actually take a break, instead of pummeling my way through the endless tasks. I have to be honest and say, no. At least, not in the way I’m expecting it to work. I’m realistic enough to not expect a 100% focused mind the next morning. But I’m still don’t feel a substantial improvement in focus a couple of weeks into taking the supplement, compared to certain nootropics that I’ve tried. But I do feel the subtle increase in self-awareness or clarity, as suggested by Performance Lab. After maxing out the serving of the supplement, I become gradually aware of mental fatigue. Prior to taking the supplement, I will be oblivious to the mental state I’m in when I’m extremely stressed and would continue to work even when I’m mentally exhausted. With Mind, I am more alert when my mental stamina is drained and would take ample rest before pursuing my tasks. In a way, doing this rejuvenates my mind, and slightly increased my ability to focus. Again, I’m sure you would feel rejuvenated after a power nap. In all fairness, I’ll say Mind doesn’t do much in enhancing focus, but it does increase clarity amidst stress. Nootropic supplements are usually made of ingredients that may cause side effects to some individuals. Thankfully, I don’t suffer from any side effects when taking Mind. I’m particularly observant and sensitive to any unpleasant change both physically and mentally, and I would have noticed if there’s any. Generally, I don’t think Performance Lab Mind is an ineffective supplement, but I couldn’t say that it’s highly effective either. And for $50 per bottle of 30 capsules, I can’t say it’s the best value for money when it comes to nootropics. 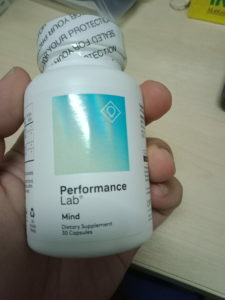 Have you tried Mind by Performance Lab? Does it help you to increase focus? Or do you experience better clarity? Share your thoughts in the comment below.